After leaving school in July 2015, I decided to take a year out and get a job before starting university. Earlier in the year, my parents had decided to rent their New Town flat out to students and were looking for an agent to manage it. Factotum had been recommended to them by friends. My dad asked about jobs when he was in the office and just by chance there was one going. I was taken on temporarily and they haven’t been able to get rid of me since! Having had no experience of the industry, I was very nervous going in to my first day. I soon realised that the office is a great place to work and the staff are all very supportive. The most sensible person in the office is definitely Sam (the office Spaniel) who spends most of his day sleeping in his armchair in the front office. My starting role at the company was in the Viewings and Inspections department. I found this was a great way to learn the industry basics while gaining experience in the company. I really enjoyed getting to know the properties, although crawling around in packed cupboards looking for gas and electric meters was definitely a challenge! About 6 months ago, I joined the Short Term Property Management team. This role is very dynamic and especially during the summer months with the Edinburgh Festival, it just doesn’t stop! The unpredictable nature of the job means you’re dealing with something new every day – broken boilers and burst bulbs are just the start! In September, I began studying Geography at Edinburgh University and continue to work at Factotum part-time. Factotum have been really helpful, allowing me to be flexible with my hours, making balancing work and studying easier. 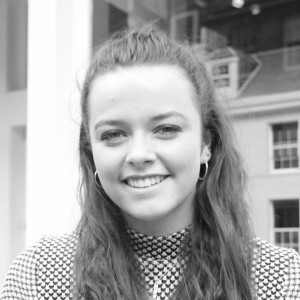 Although I have only just started my first year at university, my experience so far has shown me that the property industry is much more interesting than I had anticipated and something that I would definitely consider as a career. I’m really looking forward to starting up full-time again during the summer and for another hectic Festival period!